The Magdalenes are rising – ready to support the awakening, unveiling, healing and transformation of our planet for the benefit of all. This is the 50TH!!!! episode of The Magdalene Voices – and what a beautiful episode it is. 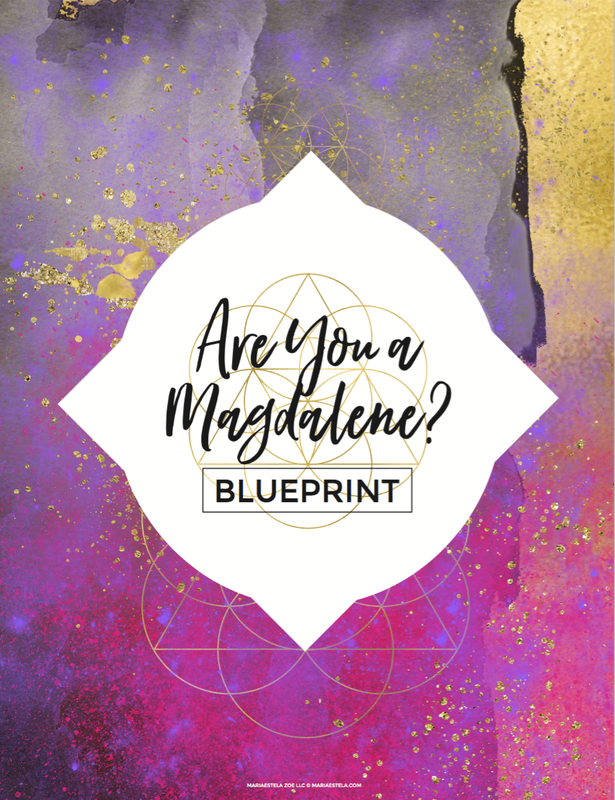 I dive deep into the question so many of us are asking ourselves “Am I A Magdalene” – and if so, what does that mean? 20 min. before I sat down to record I had no idea what would come through me, but in my willingness to surrender, to be a channel and commitment to that which is of the highest for all, this is what came about. What and who a Magdalene is. Some of the (currently) 28 Magdalene precursors. My free Are You A Magdalene? The Magdalene Blueprint. The Magdalene Rising Workbook. If you want to dive deeper into your Magdalene heritage and The Magdalene Precursors. The Magdalene Voices episode on The Divine Essences and Their Shadow Aspects. The Magdalene Voices episode on Living As A Magdalene. The Magdalene Voices episode on When Mary Shows Up. The Magdalene Voices episode on 5 Ways I’ve Been Spiritually Bypassing. The Magdalene Voices episode on The Magdalenes w. Catherine Ann Clemett – co-author of Anna, The Voices of The Magdalenes.